7:06pm: Arizona has announced the signing. Dyson will earn $3.5MM per year and also receives a $500K signing bonus, per Bob Nightengale of USA Today (via Twitter). 4:52pm: The Diamondbacks have agreed to a two-year deal with free-agent outfielder Jarrod Dyson, according to ESPN.com’s Jerry Crasnick (via Twitter). Dyson will be promised $7.5MM, per Jon Heyman of Fan Rag (Twitter link). The physical has already been completed, Crasnick notes. Dyson will be able to boost his earnings a bit through incentives, per MLB.com’s Mark Feinsand (via Twitter). He’ll earn $50K apiece upon reaching 100 and 125 games played, as well as at 350, 400, and 450 plate appearances. While it’s easy to see this as a reaction to the fact that Arizona has reportedly lost out on J.D. Martinez, MLB.com’s Steve Gilbert says that’s not the case (via Twitter). Rather, he says, the D-Backs were slated to add Dyson regardless of the outcome of the Martinez situation and will continue to shop for outfielders. The move looks like a high-value addition for the Snakes, who can now utilize Dyson as a big part of an outfield rotation that has its share of questions. Dyson is more than capable of spelling A.J. Pollock in center and will also function as a nice platoon match with Yasmany Tomas — a lumbering, right-handed-hitting slugger who is more or less the exact opposite player from Dyson. To be sure, Dyson is best utilized in less than an everyday role. 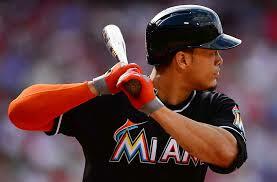 Notably, he has never hit against left-handed pitching, with an abysmal .215/.293/.259 slash. Dyson’s prior organizations have recognized this, as he has never once even reached 400 plate appearances in a given season. When deployed properly, however, Dyson is a highly useful player. He has averaged more than 2 WAR annually over the past six seasons while barely topping three hundred plate appearances per campaign. The formula is well-established by this point: elite glovework in any outfield position, top-of-the-line baserunning ability, and near-league-average batting output against right-handed pitching. The Diamondbacks will no doubt appreciate the many ways that Dyson can help a roster win a ballgame. It helps, of course, that he can be utilized frequently against right-handed starters. His rather extreme positives and negatives make him an obvious player to bring in or remove in particular late-inning situations, too, increasing his overall roster utility. Dyson did undergo surgery to end the 2017 season. And it’s fair to wonder how long his legs will remain among the most valuable in baseball. But he has shown no signs of slowing down to this point, and Dyson seems to make for an excellent fit on the Arizona roster — whether or not the team ends up adding another piece or instead relies on Tomas to provide some right-handed corner pop. Arizona was never in on JD that was Boris pushing they just got used. I guess he was the backup to JDM. That didn’t take long. I had wondered if Carlos Gomez might be on their radar. But this makes some sense as well. They won’t get power, but at least he helps solve their issue with Tomas. nope, as the article states, they were looking to add him no matter what. Love this pick up.. 2.6bWar in 350 ABs last yr? He’s probably got some left in the tank. Not a bad response… dyson had a 2.6 WAR last year to Martinez’s 4.1, although Dysons speed will regress much faster than Martinez’s power. It might, it might not. he will be 36 before his contract is up. Look at Jose Reyes, he was in the 70 SBs and now he’s in the 20s and younger than dyson. Speed falls off fast. He’ll have just turned 35 when his contract is up. Jose Reyes is not younger than him. Rajah led the AL in ’16. Lol the baseball nerd doesn’t know ages. Thought he was going to the Os. Maybe now Baltimore trades for Dickerson? I hope the hell not. He can’t run. He gets on base and that’s about it. I doubt the O’s were in on Dyson. The O’s never run on the bases. Fewest SB’s in the AL I think. If not fewest then close to the bottom. I think Baltimore is nuts if they don’t trade for or sign Dickerson. They need a LH OF to pair with Hays and they could rotate him, Trump, and Davis at DH. Dickerson has power that will obviously play in Camden and is a potential OBP threat. Dbacks are really not taking advantage of their current window to win. Yeah, imagine how much better they’d be without some of his prior moves. I’m biased admittedly but I’m hoping for Shelby to bounce back and produce. As a Braves fan, the trade obviously worked out better for them, but if push comes to shove, i hope the Braves bring him back in case he doesn’t work out in Arizona. Swanson may not be a loss but inciarte was. Not to mention the value they could’ve gotten in another deal from trading that package. Have to believe it could’ve landed a superior player. Hindsight helps but that deal looked bad from day 1. Hindsight isn’t really necessary there. Inciarte alone should’ve been enough to acquire Miller. I’m curious if this will push Walker out of Arizona. He’s out of options. Not to mention — someone has to be removed from the 40-man to make room for Dyson. This wasn’t a minor league deal with an invite to Spring Training. Can’t have 41 players on the 40-man. A good platoon with Tomas. The Dbacks needed a lhb who can play CF. He will see a lot of time against rhp & as a defensive replacement late in games. His speed is a plus since the Dbacks like to run. Tomas is terrible. He doesn’t have a position on the field. He can drive the ball an that’s about it. And that’s only when he’s healthy. Good job Arizona, let JD chase the $$$. Replaced him already. Who needs Martinez when you can get Jarrod Dyson instead. Not the JD the front office and fans were hoping for. Diamondbacks, you were supposed to sign the other JD, not this one. Personally I’d rather Dyson and have 100 million or whatever to spend elsewhere. They can probably sign Dyson, plus Greg Holland and Alex Cobb for roughly what JDM is getting. Surprised they didn’t try to pursue Renfroe or Santana before immediately jumping to Jarrod Dyson. Whos to say they didnt. Considering Hosmer was just signed this week which made suddenly left Renfroe displaced by Myers….doubt the two teams talked much in the last 3 days about Renfroe. Do the dbacks need a renfroe? It’s going to cost them a prospect which they don’t have many of. The padres aren’t going to be interested in a Patrick Corbin so Idk how that would ever work. Dyson low average no power defense only player bad move by arizona. A defensive specialist in their hitter-friendly park was something they needed. He could also pinch-run, and he certainly isn’t the worst hitter. I don’t see how this isn’t a win for Arizona at that price. 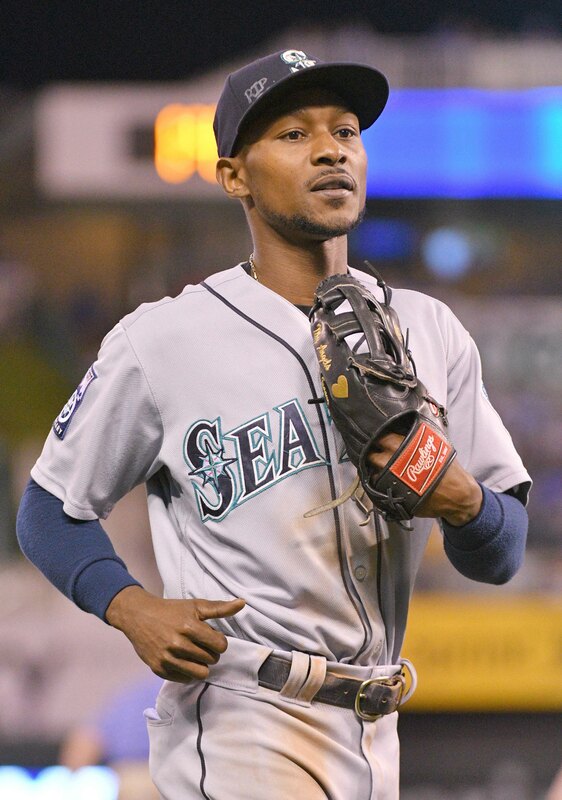 I’d like to see Dyson be the starter over Tomas in right field. Left field.. Paralta will move back to RF with JD gone. It will likely be a platoon with Tomas. Don’t get why this guy’s contract didn’t get bid up. He can win you a handful of games throughout a season and in the playoffs, fits on just about any team. Decent sign for the Dbacks. Although, the #1 priority this offseason should have been to eat the requisite money and trade Tomas to get him off the books. This is the Dbacks window. Now. They are simply making cursory moves around the edges. Stewart & LaRussa left a turd sandwich w/ the Tomas and Greinke k. On top of that, Corbin and Pollock are gone in 7 months and the Snakes front office is already telegraphing that Goldy is as good as gone when his deal is up. What is the requisite money to eat for Tomas? Probably 95% of it. He has almost no value. I can’t imagine any team would want to commit dollars to Tomas. Can you honestly see a team wanting Tomas for anymore than say 4 million a year? I honestly can’t. Tomas hasn’t been able to get healthy and “play” since spring of last year. There are still questions about whether or not he will be ready to go to start this season, At this point, the only way AZ is rid of him is to eat the entire deal in one way or another. I doubt the Twins would be willing to trade Hughes for Tomas right now, and Hughes is a massive sunk cost for Minnesota. This might end up being a better signing than most, and particularly for this team. JD was a great bat, but Dyson should be a good value. Dyson for $3.75 million per year is a great contract. Yeah, he would have been a competent left fielder in PNC Park. Could have batted lead off or at the bottom of the order to provide a speed boost. Clearly affordable as well. But those are sensible ideas, which is why the Pirates didn’t consider them. 50th Round pick just got $7.5m guaranteed, I’d say he did ok. The royals outfield was pretty damn productive during his time there, not sure who you think was “screwing” him out of playing time. Gulle, some of this is on Dyson as well. From what I’ve heard, he wasn’t interested in an extension with Seattle that would have paid him considerably more (well before the season ended). Then there’s the issue of him opting to end his season early for minor surgery to repair a small hernia that wasn’t pressing and he did that when his team needed him most. That arguably was the final nail in the coffin for Seattle’s postseason aspirations last season. It looks like he was more worried about reaching free agency and getting paid, and that may very well have been off-putting for some teams that may have otherwise been interested. That said, I think he should fit well in Arizona and I’m glad they could get him on a deal that should allow them to spend a little more for help in other areas. Apparently they’re still looking for outfielders, but relief pitching looks a little more pressing at the moment. All good! This really looks like a great deal for Arizona. Hard not to like that team. They lost Power not speed why not go get Cargo? Giants should be regretting Austin Jackson right now. Could they still have pulled off the Watson move with the extra 500k Dyson would have cost? I like this move. The DBacks run and run some more. They needed someone to play CF in case Pollock goes down, or to spell Tomas. Smart, affordable pick up and a good use of resources. This JD signing is better than what it would have taken to land that extra “M”. Why? It leaves them money to extend Goldschmidt or upgrade/add other players to help the team through the season. This is such a cheap signing for a player who fits their roster very well. Great move for the D-Backs and good for Dyson to get to play for a contender. I was wondering the same thing. Christian Walker is out of options and limited to 1B and LF. Lot to like about his bat, though. Seattle could use him with Heredia still questionable having had surgery on his shoulder and Healy due to miss most of spring, if not all of it. Hard to imagine he’ll be ready to start the season. Even if Healy won’t make opening day, which well he won’t, and let’s say Heredia and Healy come back at the same time, which actually doesn’t sound unreasonable (i think Heredia is ready by opening day possibly), then what do they do with an out of options Walker? Healy is their starting first baseman, and Heredia hit .310/.360/.434 against LHP last year, and in 2018 he’s working with a platoon with Ben Gamel. Option one of Heredia/Healy if Walker is hitting. If he isn’t hitting, he would likely clear waivers. Healy will likely need PA’s as he won’t be hitting much in spring, so a stint in Tacoma may be necessary anyway. There isn’t much for outfield depth and at 1B it’s Vogelbach with no defense. Adding Walker would make them deeper. Good luck to JDM in Boston. Loved his contributions here in AZ for 1/2 a year and a part of me wanted him back. But I’m thrilled with the JD we signed. He fits this team so much better than JDM would have. The D’backs new triumvirate is 1) the new humidor, 2) 1st base coach Dave McKay, and 3) the added speed of JD. Dyson is a good defensive player and I’m surprised he lasted this long on the market. The other surprising thing is how bad fans dog Tomas. He is a big bat. Nothing more. He can hit but the issue is the obvious, he plays best where Goldschmidt plays. Put him back in LF, let his bat make up f9rmhis poor defense. If he hits well enough, maybe they could trade him for someone better suited or a hole they have midseason. Giving up on a guy who hit 31 HRs the year before last seems stupid. Just a baseball fans perspective. He’s a career 98 OPS plus hitter, so it’s not like he’s even all that much of a hitter. Add his defense (-5.0 career dWAR) and his trade value is next to nothing. Great 4th outfielder, love the speed. Good signing. Now just do something with Tomas dead weight filling a roster spot.